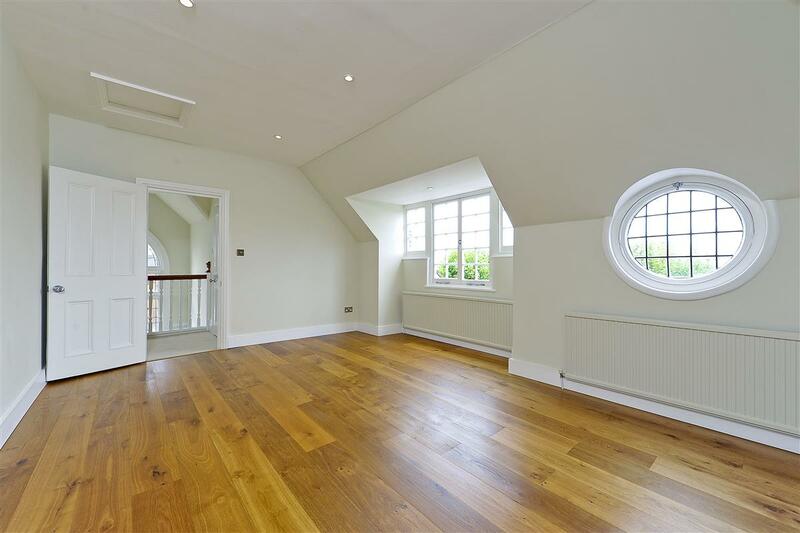 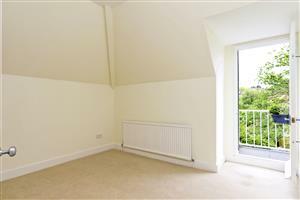 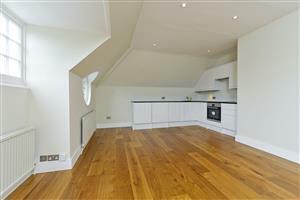 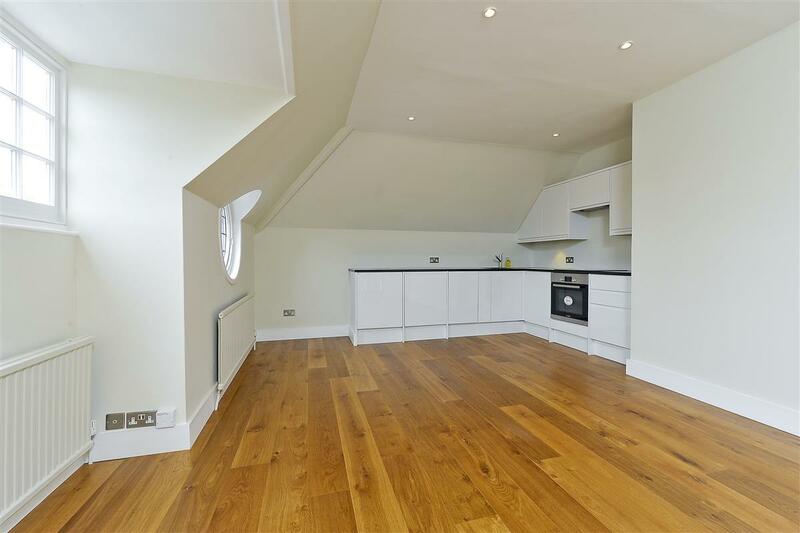 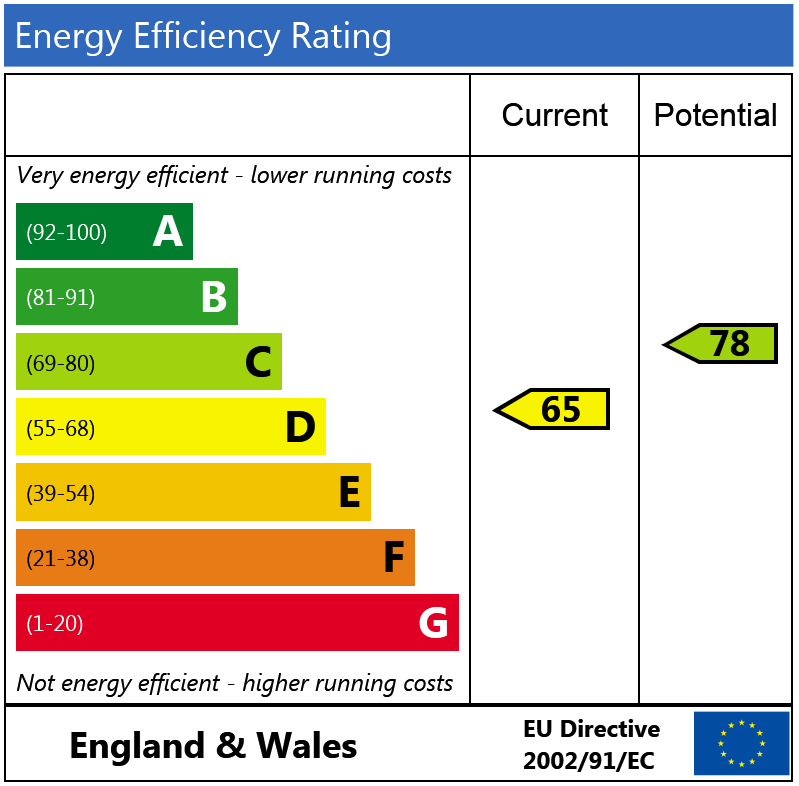 This recently refurbished top floor two bedroom conversion flat (755 sq.ft.) 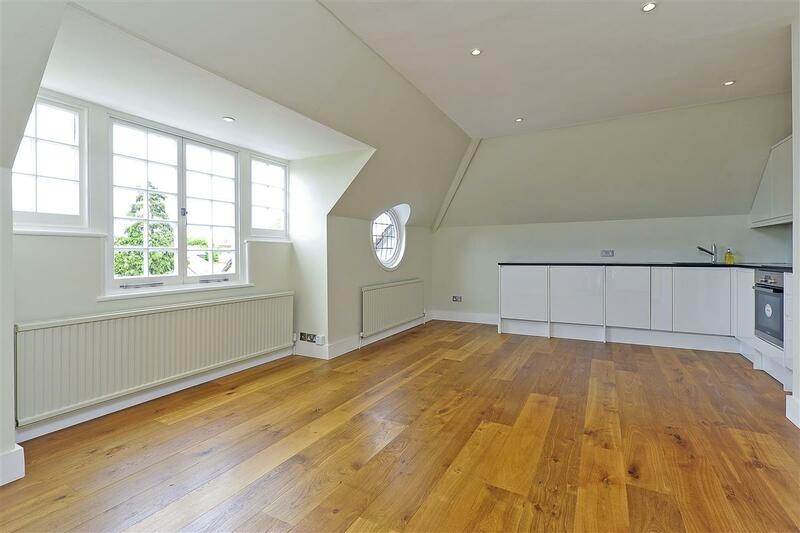 with additional storage is found within this period house and is located in this prime West Putney location. 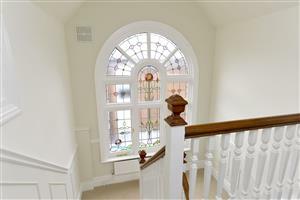 The flat is on the second floor and is approached via a wide and light staircase with a stunning stained glass window. The reception room (18' x 14'2") links in with the open-plan kitchen with wooden floors throughout. 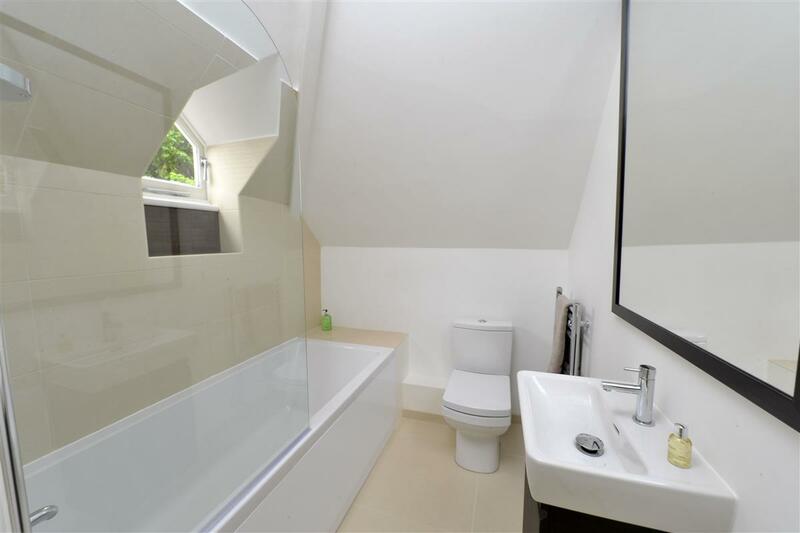 It is fitted with a range of wall and base units, granite work surfaces, an inset four ring gas hob with oven below and extractor above and there is an inset sink with swan neck tap and integrated washer/dryer, dishwasher and fridge. 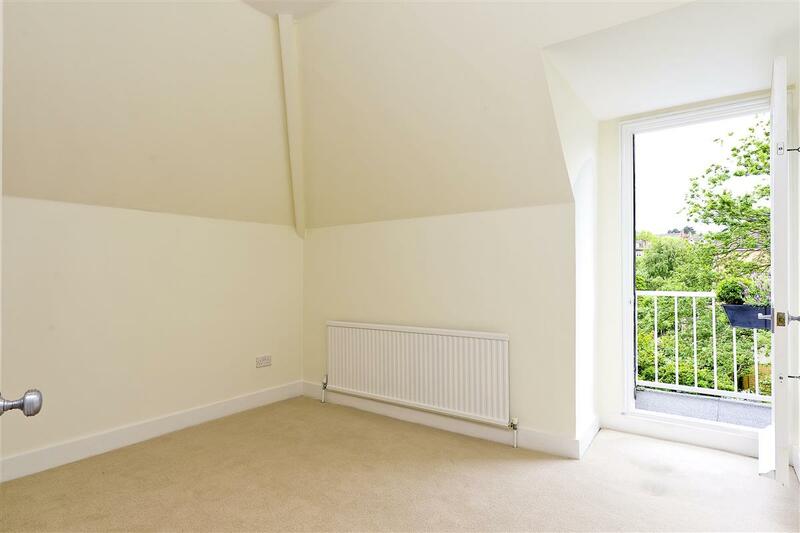 The bedroom measuring 11'2" x 11' has fitted cupboards, a door to the large eaves storage and a door to the south-facing balcony. 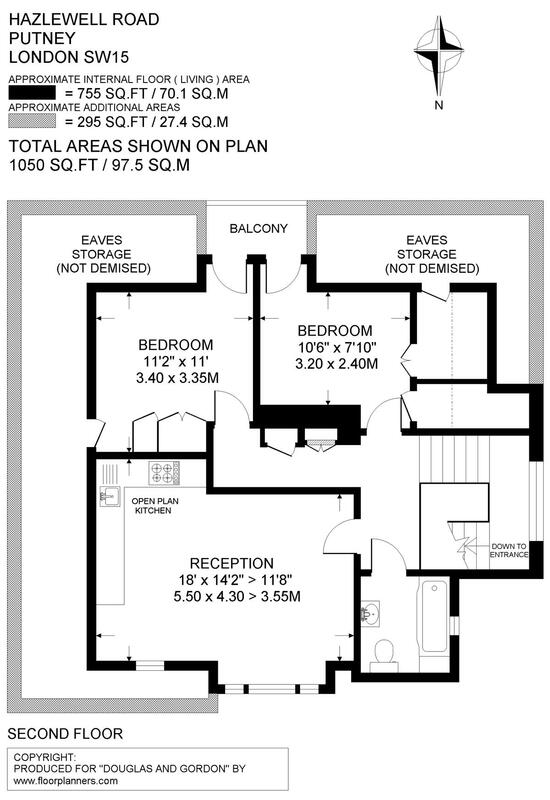 The second bedroom (10'6" x 7'10") has a door to the south-facing balcony and access to the useful and large storage cupboard which in turn provides access to the eaves storage. 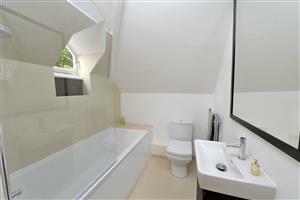 The bathroom has a shower over the bath with glass screen, a pedestal wash hand basin and low level WC. 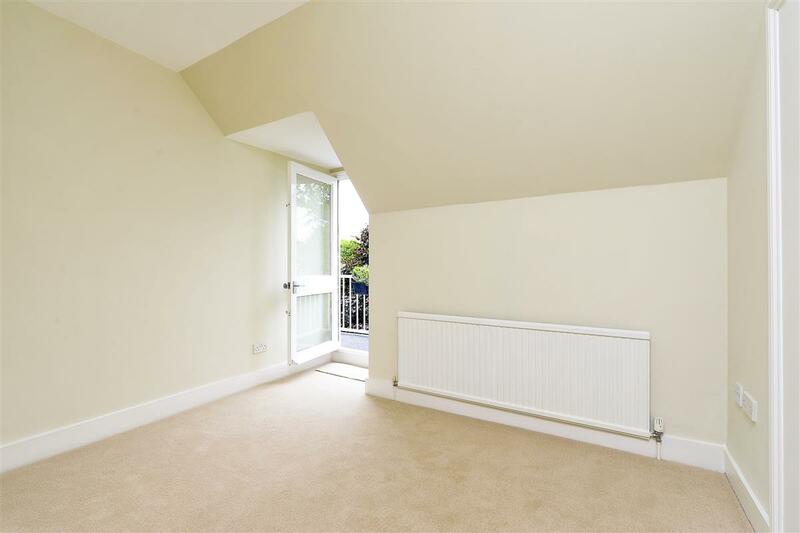 The delightful south-facing balcony has far reaching views over the gardens of adjoining properties and is a real sun trap. Hazlewell Road is close to all the shops, bars and restaurants of both Upper Richmond Road and Putney High Street. 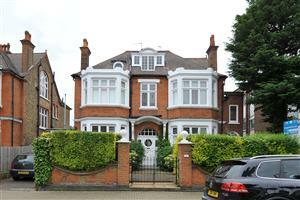 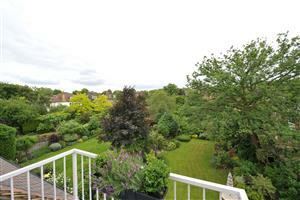 It is a short walk from Putney mainline station and East Putney underground station.